Broadway widening: When will work begin? TUCSON, Ariz. - Maybe you just finished driving down Broadway to find your way home. That major road has been up for a major upgrade for a long time -- and now the project is closer to shifting from planning, to actual roadwork. The plan from Tucson and the Regional Transportation Authority would widen one of the busiest sections--- from Country Club to Euclid. Making room for expansion led the city to buy up 98 properties along the route. Closing Lerua's Mexican Restaurant near Broadway and Campbell makes available the last land needed for the expansion there. 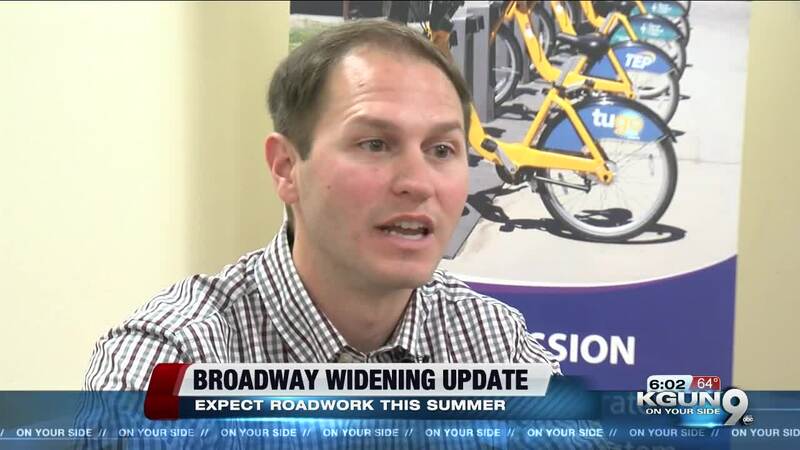 Tucson's Broadway Project Manager Greg Orsini says there's more time required for construction bids and prep work like moving utilities, before two years of road work begins this summer. "Basically the Tucson citizens will see a wider roadway, help capacity on the road. There's going to be drainage improvements, landscaping, street lighting, a lot of bike and pedestrian crossings across Broadway." Critics of the project like Ward 6 Councilmember Steve Kozachik say it's too large because of old traffic estimates that badly overestimated traffic. The Regional Transportation Authority says it's keeping a promise it made when voters approved RTA's transportation plan. RTA says it did reduce the size of the project. The original was to be six lanes plus two dedicated bus lanes. Now the project is simply six lanes. Kozachik says, “But we're still losing a lot of the local businesses and we're not we're not creating the sense of place in the destinations that the task force and the citizens asked for throughout the course of the conversations that we had about the widening." For some remaining businesses the widening will carve away critical parking space. The Rio Nuevo development district is working to reduce that impact by creating parking behind those buildings and turning the reduced space out front into a pedestrian streetscape.